Book with View Holiday Trip. 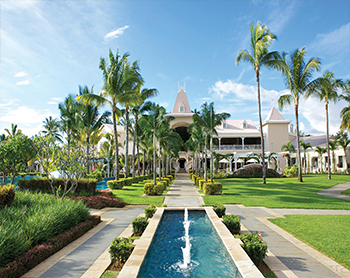 Here you will get ready international tour package deals to make your Mauritius package holiday trip an unforgettable one and create memories of a lifetime. InterContinental Resort Mauritius or Similar. Arrival at Mauritius International airport. Our executive will meet you and transfer you to the hotel. This day is leisure for you to explore the beach side and night experience of Marutius. 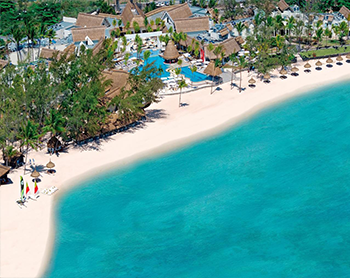 Overnight stay at Mauritius beach resort. After breakfast, proceed for North Island Tour North Island Tour: Proceed to explore the northern region of the island. visits of Fort Adelaide - Citadel, Round of Champ de Mars, Marie Reine de La Paix, Mall of Mauritius - Bagatelle and Caudan Waterfront. Full day proceed for South Island Tour South Island Tour: Proceed for a full day tour of the exotic Southern region of this Island. Visits of Floreal Shopping Complex, famous Volcanic crater - Trou Aux Cerfs, Ganga Talao - Grand Bassin Shiv Temple. Aux Cerf Island Tour Ile Aux Cerf Island Tour: Experience a thrilling speed boat ride across to the island of Ile Aux Cerf. Revel in the beauty of fine white sand and clear blue waters. The rest of the time here, is at lei. We keep the day free for you to adjust yourself after a long flight. Day free for you. You may laze around in the Hotel room or if you can not stop yourself then you must be near the beach. In evening enjoy a Veg / Non Veg Indian Dinner at the Hotel. AT MAURITIUS: Full Day South Island Tour. Breakfast at the Hotel. 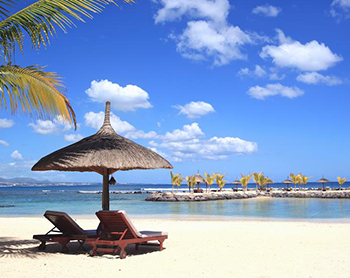 After Breakfast in the hotel you will See the Beauty of Mauritius . Full Day you are Free for Leisure. Overnight stay at hotel in Mauritius. After breakfast at the hotel, get ready to catch your flight back to home. 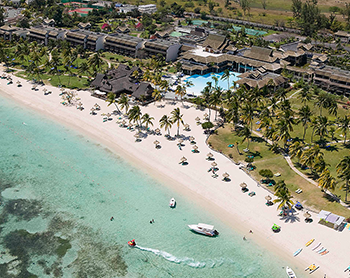 Leave Mauritius with unforgettable memories. Normal Hotel Check in Time is 1400-1600 Hours and Check out time is 1000- 1200 Hours. Package Non-refundable & non-changeable 11. PAN card copy required for billing. If there is any changes or cancellation in flight which is done by airline In this case we are not responsible (You have to accept airline option if option was not match with the hotel and hotel part is Non-refundable then you will not claim for refund in Hotel part and you have to pay as New Rate Rate as per Subject to availability. If you are agreed to confirm your booking with revised date you have to pay difference amount as per Updated package. or you can cancel your booking. we will refund you as per cancellation policy. You cannot Claim For Refund as per Bellow: - (Due to Natural hazards and disasters, Due to bad weather any things cancelled by airline / Hotel/Sight seen Flight changes at last Moment Last Minutes No show). Payment should clear before 7 days of travel. Without full payment we cannot shear your final voucher (Booking will be cancelling without Notice).